Three-year partnership with The Coca Cola Australia Foundation! The Carers Foundation Australia are honoured to announce a three-year partnership with The Coca Cola Australia Foundation. This partnership will allow the Carers Foundation Australia to focus on young carers aged between 13-19 years old, that are the primary caregivers for their parents or siblings with chronic medical or mental illness, disability or cancer. There are more than 3 million carers in Australia, and 400,000 of these are under the age of 20. Ronnie Benbow – Founding Director of The Carers Foundation Australia, says these young people are looking after their families and people are not aware of it at all. They’re the ones who are forgotten in the community, so we are here to help take care of them. To give them hope, fun and inspiration. These young teenagers are put under enormous physical, emotional and financial pressure thanks to their selfless acts of compassion. Most of these kids don’t consider themselves ‘carers’ and rarely reach out to support services for help. That’s where the Carers Foundation Australia comes in, Ronnie says. ‘They don’t even know what’s normal and what’s not normal’. Our main concern is that these young carers are missing out on their youth. It’s exhausting, mentally and physically. They just never, ever have any time to themselves, or be normal teens. The experience of many of these young people is heartbreaking. On arriving at the retreat, one young carer told us she couldn’t remember the last time she felt happy. How is that fair for this poor young girl, or any young person. She can’t face society and she doesn’t even know what it feels like to be happy. During their time with The Carers Foundation Australia, the teenagers are guided through a series of mindfulness practices and stress-reduction techniques they can apply in their day-to-day lives. There’s a lot of stress involved – Can you imagine being a 15-year-old child caring for your mother who’s dying of cancer? That child is doing activities that the parent would normally be doing. They have to know how to cope, and know someone cares for them. We teach them that even though you can’t change your situation, you have to learn to live with it the best way you can and look forward to knowing that it’s not going to always be like that. The three-day program introduces many unique tools and stress management techniques that these young people can apply to the everyday life when they return home. But it’s not all practical skills and stress-management. 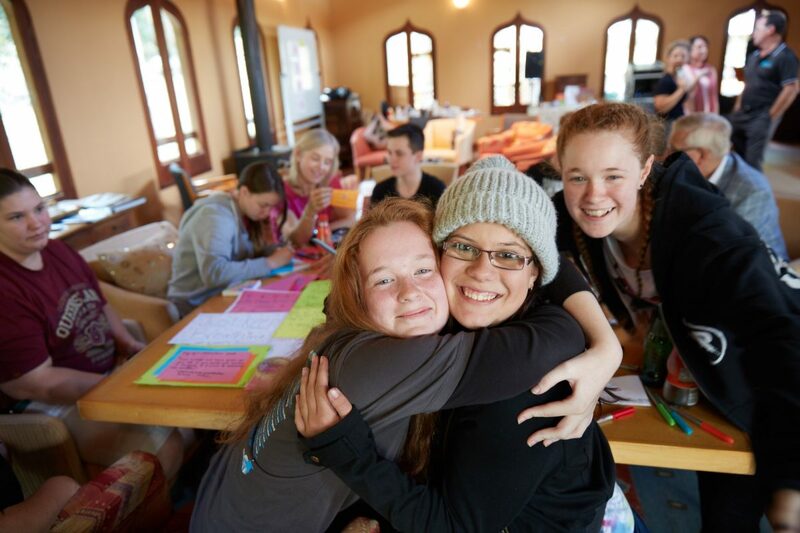 The Carers Foundation wellness retreats provide teenagers with something even more essential: friendship and fun. They form a little community that will be lifelong friends and be able to share experiences. These kids have connected so much and form a bond within five minutes. They can have fun, be kids, listen to music and do things that normal teenagers do. And when they start talking it’s like they’ve known each other for a lifetime. They are with new friends that completely understand their situation. We get these young people together so that they will have this ongoing support, and then we will reconnect with them so they can keep connecting to each other when they go home. The Carers Foundation Australia is clearly having a profound effect on the lives of young people. Despite the ambitious plans of both The Carers Foundation Australia and the Coca-Cola Australia Foundation, it’s the little things that make the deepest impact. That young woman who couldn’t recall being happy, for instance, left her first retreat changed. We saw a smile on her face this morning, and that makes it all worth it.